ApplyConnect®, the nation’s leading source of secure, consumer-initiated, tenant screening solutions, is offering Apartment Associations, Associations of Real Estate Brokers and Agents, and Vendors to the Property Management Industry a chance to passively boost their revenue by joining ApplyConnect’s® Affinity Partnership Program. Enabling companies to offer their members and website visitors an easy-to-use tenant screening solution through a unique referral link, while earning residual income, the program is designed to be 100% hassle-free. The ApplyConnect® website has got a whole new look! With the New Year coming up, the ApplyConnect team thought their users deserved a sleek responsive look (early) to help them perform all their tenant screening needs. 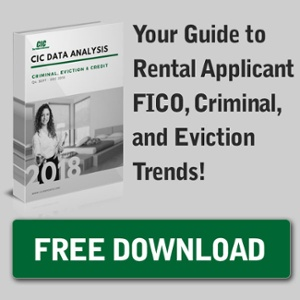 Not only will this makeover attract new renters to complete their free online rental application and easy-to-use background check, but make finding the perfect tenants easier with its mobile, tablet, and desktop capabilities. Are Your Online Rental Applications Providing Everything You Need? In this rental market, it’s obvious that staying up-to-date with consumer technology is unavoidable if you want to attract a large amount of applicants and gain good, long-term residents. While numerous new apps and online services are being developed with these benefits in mind, nothing compares to the results you’ll see when you add an online application to your leasing process. Online rental applications are not only convenient for your residents, but it allows your community’s reach to spread beyond the local area, grabbing applicants from around the nation. Join CIC™ at the 2016 Multifamily Exchange Show! On September 25-28, 2016, CIC™ will be participating in the Multifamily Exchange Fall Show and hopes to see you there! The event promises to “change the way purchasing executives source new products and build relationships with vendors” and will take place in Palm Beach, Florida. SMS/Text Notifications Now Available for ApplyConnect® Users!